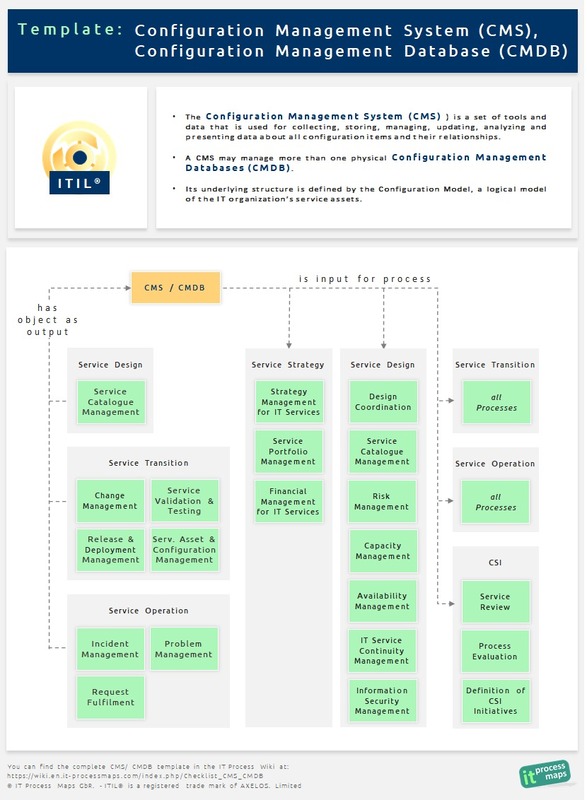 The the most recent version of ITIL ('ITIL 4') was launched in February 2019. It's the first major update to the ITIL framework since 2011, designed in large part to keep up with recent trends in software development and IT operations. Watch the video: What is YaSM? 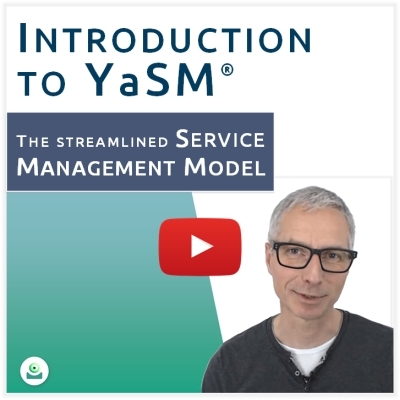 In this video Stefan Kempter introduces YaSM ('Yet another Service Management Model'), the streamlined and easily understood process model for service management and ISO 20000. YaSM is a "translation" of the guidance in the popular frameworks and approaches, such as ITIL®, ISO 20000, and SIAM®, into a clear-cut collection of processes. The model contains ready-to-use templates for your processes and documents. → Start the video: What is YaSM? → What are the objectives of ITIL 4? → What's new in ITIL 4? → What's the difference between ITIL 4 and ITIL V3? Are you familiar with the similarities and differences between ISO 20000:2018 and ISO 20000:2011? ISO/IEC 20000:2018 (Part 1) is a completely revised version of the international service management standard, ISO/IEC 20000:2011. 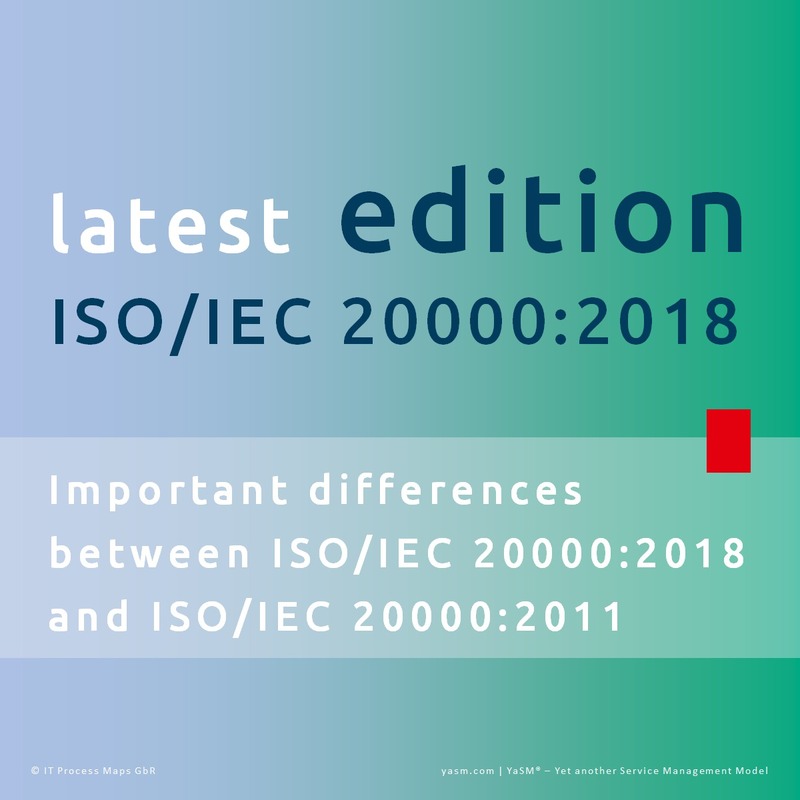 → Difference in detail: Changes between ISO 20000:2018 and the previous 2011 version. The Capacity Plan is used to manage the resources required to deliver IT services. The plan contains scenarios for different predictions of business demand, and options with cost estimates to deliver the agreed service level targets. → You'll find the detailed checklist here! It's easy to get lost in the details of the service management frameworks and there is always a danger of loosing sight of the big picture. 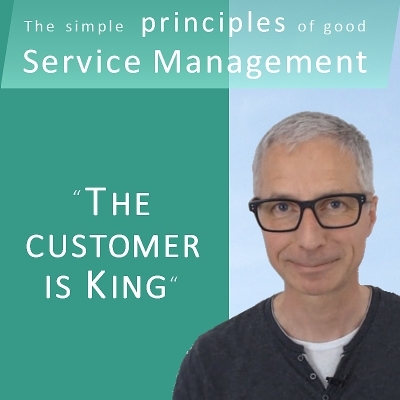 We shouldn't allow this to happen, so we've created a video series about 'The simple principles of good service management'. In the first video, we explain how customer-centricity works, and how the YaSM approach helps you with becoming customer-centric. → Start the video: The customer is king! In various parts of the books, ITIL refers to "functions" rather than "processes". For instance, Incident Management is introduced as a process and Facilities Management as a function. → So, what is the difference between ITIL processes and ITIL functions? The Configuration Management System (CMS) represents a set of rules for deploying releases into the live operational environment, defining different approaches for releases depending on their urgency and impact. A CMS may manage more than one physical Configuration Management Databases (CMDB). Its underlying structure is defined by the Configuration Model, a logical model of the IT organization’s service assets. → A free CMS/ CMDB template free CMS/ CMDB template is available in our wiki! 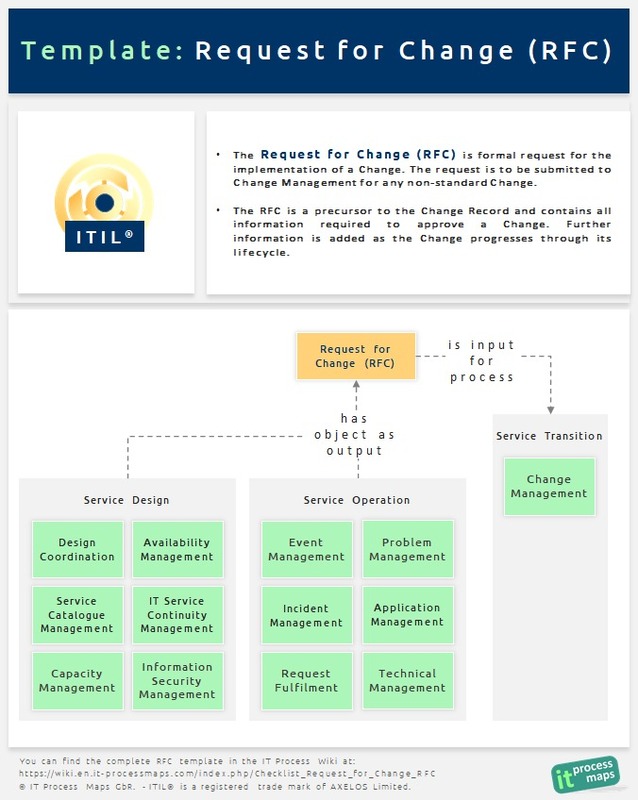 It is now ten years since IT Process Maps published the first version of the free ITIL® Wiki, and over the years the 'IT Process Wiki' has grown into one of the most popular destinations on the internet for those who want to learn about the IT Infrastructure Library ITIL® and IT service management best practices. Millions of visits to our Wikis in English, German and Spanish from more than 190 countries are proof that there is strong demand for ITIL and its best practice recommendations! Thank you so much for the great feedback throughout the years! The Underpinning Contract (UC) is a contract between an IT service provider and a third party. The third party provides supporting services that enable the service provider to deliver a service to a customer. Therefore, Underpinning Contracts must be aligned with the customer-facing Service Level Agreements (SLAs). 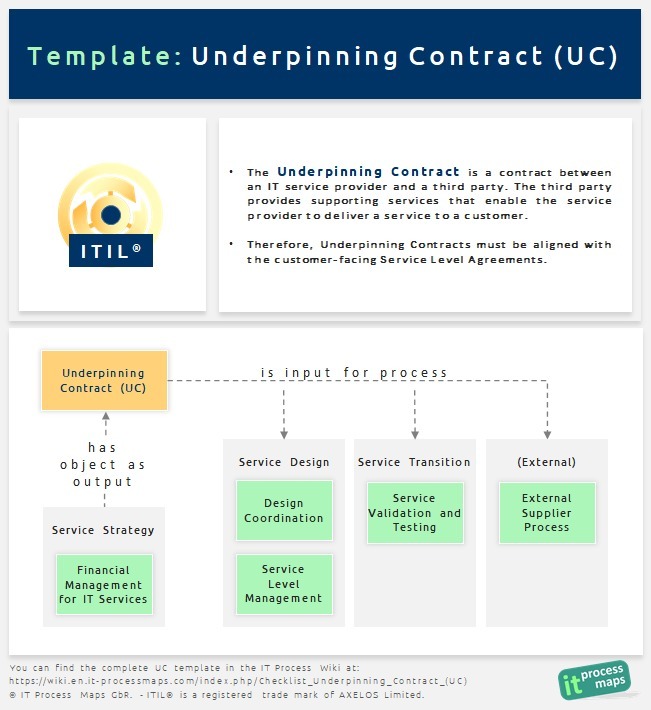 → The Underpinning Contract template summarizes the most important contents of an UC. 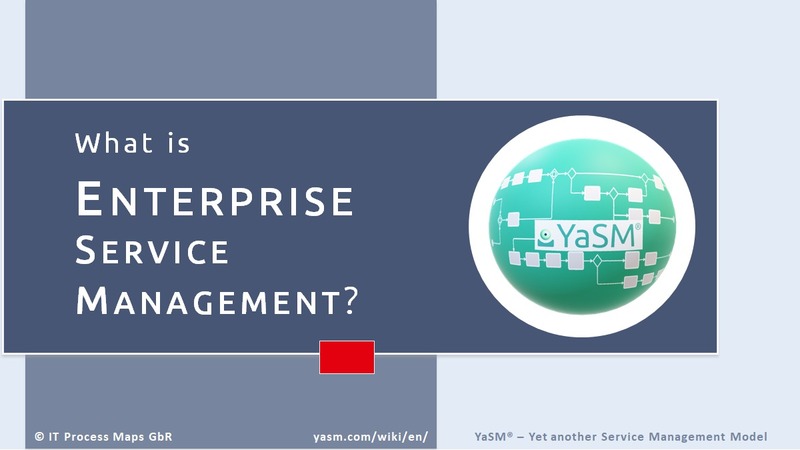 The YaSM Wiki is about service management according to YaSM®, a new, streamlined framework for organizations offering services to their customers. The free wiki is the ideal starting point if you would like to learn more about Enterprise Service Management, ITSM and ISO 20000. You'll find detailed guidance and examples on how the YaSM framework can be applied to improve the delivery of services. The Request for Change (RFC) is formal request for the implementation of a Change. The RFC is a precursor to the Change Record and contains all information required to approve a Change. Further information is added as the Change progresses through its lifecycle. → Check out the full RFC template! Service providers need a consistent, professional approach to managing incidents and service requests, because bad customer support drives away customers! So, it's not surprising that there is a strong emphasis on support processes in all service management frameworks and standards. Indeed, incident management is probably the best-know process in these frameworks, but quite a few more processes play their part in getting customer support right. 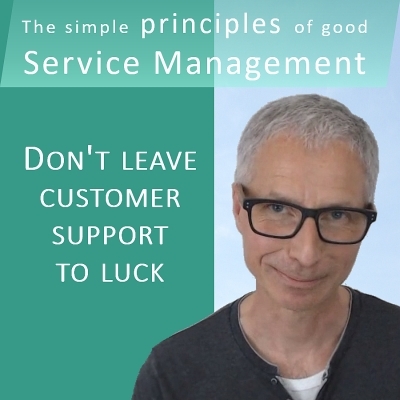 → Start the video: Don't leave customer support to luck! Enterprise service management (ESM) does not have a long history yet, but IT organizations have been following the IT service management guidance for decades and seen many improvements. → What is Enterprise Service Management? Are you looking for a Service Portfolio template? Our checklist will help get you started. The Service Portfolio represents a complete list of the services managed by the service provider. It contains present contractual commitments, new service development, and retired services. → These are the most important contents of a Service Portfolio. The most sought-after ITIL templates are available for you in the IT Process Wiki. These ready-to-use templates and checklists are also a good starting point for designing ISO 20000 compliant documents and records. As part of the ITIL Process Map, the ITIL 2011 templates were officially reviewed by APM Group to verify their alignment with the principles of Cabinet Office best practice guidance. They are thus officially ITIL® licensed. When presenting the YaSM service management framework to someone who has never heard of it before, I get frequently asked whether YaSM is a lean or light version of ITIL®. YaSM is definitely lighter than ITIL®. But we don't want YaSM to be confused with what is often called "ITIL lite" or "lean ITIL" because we think the existing approaches are often flawed! → From the YaSM Blog: Is YaSM 'ITIL lite' or 'lean ITIL'? ITIL key performance indicators ("KPIs") are used to assess if the processes of an IT organization are running according to expectations. The ITIL RACI matrix ("responsibility assignment matrix") provides a summary of the ITIL roles and their levels of responsibility in the ITIL processes. The RASCI model is an extended variant of the commonly known RACI model, which defines the following responsibilities: R - Responsible, A - Accountable, S - Support, C - Consulted and I - Informed. RACI matrices are especially useful in clarifying roles and responsibilities in cross-functional processes. Today we start a new series of videos, highlighting the time-tested, simple principles that we must get right in order to become successful providers of services - and how to apply them in practice. Some of our customers use Microsoft® SharePoint® for managing their ITIL process diagrams and sharing them throughout their organizations. In this video we demonstrate how you can use the ITIL process model for Visio in combination with SharePoint. Essential also for your ITIL project: Basic knowledge, checklists and tips for Project Management. These documents are designed to provide practical support for anyone assigned to do the actual "project work". However, they are also well suited for improving the organization and implementation of some of the day-to-day routine operations. Microsoft has recently published the new version of Visio® 2016. The ITIL® Process Map works very well with this latest edition of Visio, but nevertheless the appearance of Visio 2016 provided an opportunity to update the "ITIL repository add-in" for Visio that comes with the ITIL Process Map. The ITIL Process Map provides you with a set of ITIL templates plus the means to adapt the process diagrams to your own organization's needs. Three examples illustrate some techniques for working with the Visio ITIL templates, including the usage of a simple Excel repository for managing all central object information of the ITIL reference process model. We've thoroughly tested the ITIL® Process Map for Visio® on Windows 10, and we can now confirm that our ITIL process model works with Microsoft's new operating system. If you are an existing customer, you may receive the latest version of the Visio add-in ("ITIL Repository Feature"), including an updated user manual, free of charge. Check out this Arabized version of our "ITIL Implementation" infographic that breaks the task down into 10 manageable steps. Many thanks to Mohamad Sibai, Saudi Council of Engineers, for the translation! YaSM: an alternative to ITIL? Once in a while we get asked during our YaSM webinars if YaSM is an alternative to ITIL. It almost seems quite a few people would like to avoid having to deal with ITIL and are thus looking for alternatives - but is that a good idea? → From the YaSM Blog: YaSM - an alternative to ITIL? Beware of evil process templates! In a recent blog post on his ITSM portal, Jan van Bon, IT service management expert and author of many popular books on the subject, muses about people using 'ITIL process templates' making a 'fundamental mistake' ("ITIL process templates - a contradictio in terminis?"). Instead of adopting something that is already developed, organizations should 'spend serious time on designing their management system'. → From the YaSM Blog: Beware of evil process templates! The YaSM Wiki provides a complete overview of service management according to YaSM®. The wiki is the ideal starting point if you would like to learn more about YaSM and service management in general. The ITIL® - ISO 20000 Bridge has been brought in line with the latest version of ISO 20000:2011. It is now available as an add-on to the ITIL® Process Map. The new version of the ITIL® - ISO 20000 Bridge helps IT organizations and IT Service Providers to develop ITIL 20000 compliant processes and serves as a guideline during the preparation for the ISO-20000:2011 certification audit. This page was last edited on 7 April 2019, at 12:52.